As time progresses change is inevitable; and UrbanCincy is no different. We have just celebrated our four-year anniversary, and are making some changes for continued success and growth in year five and beyond. Jenny Kessler has now moved into the role of Operations Manager to oversee the website’s team of 12 writers and two photographers. We have recently added several additional writers to help keep production levels high and of the utmost quality. Travis Estell will continue to serve as Web Developer, and I will continue to operate as the website’s Owner & Managing Editor while I spend the next half-year overseas in Korea. 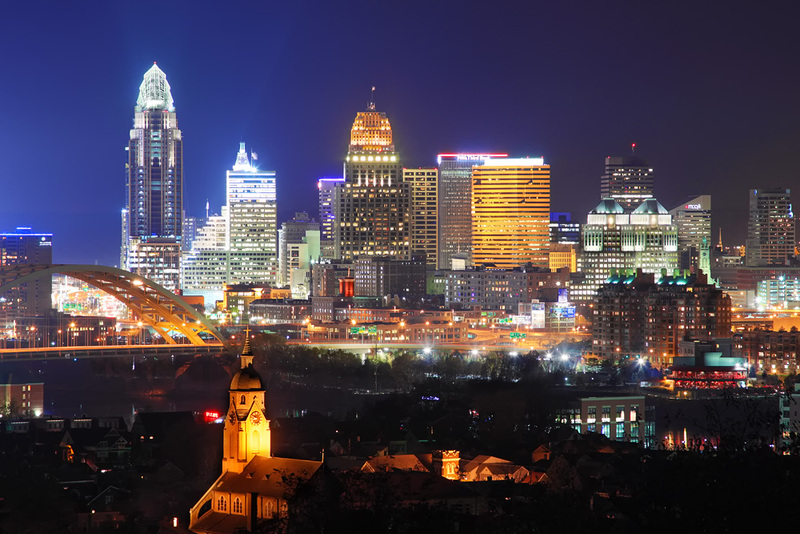 Cincinnati’s eastern skyline photograph by Aaron Davidson. As I step aside into a lesser role, a team of talented and passionate Cincinnatians will be there to keep you connected with the city’s urban core. I will be decreasing my role in terms of content production, but I will continue to pen editorials on various local topics and produce stories on topics from other urban centers around the world and how they might relate to Cincinnati. Moving forward UrbanCincy will continue to keep you connected with Cincinnati’s urban core, but we hope to become your source for not only news, but your source for living a vibrant urban lifestyle. To make that happen, we will be organizing more events like our popular Bikes+Brews ride and the OTR Urban Kickball League. We will also be interested in hearing more from you, our readers. So please feel free to write us at UrbanCincy@gmail.com with any thoughts or ideas on activities you might want us to pursue. We would also love to hear about what you think is important, and would be more than happy to publish your thoughts in a guest editorial piece. It is never easy pouring time and energy into something that is a labor of love, but we are striving to do our best to keep you plugged in to Cincinnati’s urban core. So please be sure to thank Jenny Kessler and the rest of the UrbanCincy team for their dedication and hard work.